My Vogue 1303 is coming along nicely. I decided to make the lining first so that I could check I'd made the correct adjustments from my toile. It's a very much improved fit. So I'm ready to cut my Liberty Lawn with a bit more confidence. 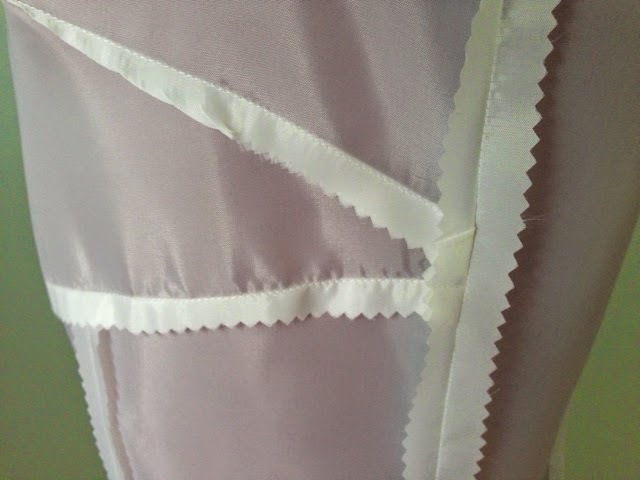 Just for the record I have finished all the lining seams by pinking them. For two reasons. It totally speeds up the sewing process. And I actually quite like the look of it. 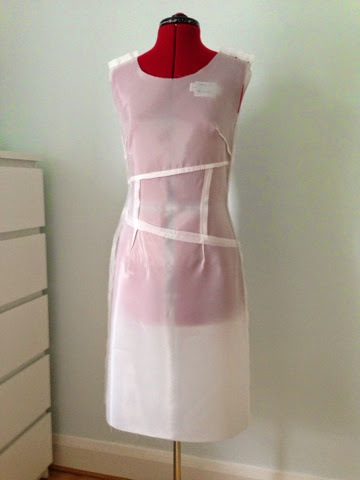 Being realistic I think the finished dress will be beautiful (fingers crossed) but sadly not for everyday wear so I don't think it needs to be finished off so completely.